How do I hit a fastball? Below are simple and effective fastball hitting tips, and batting drills; for parents, coaches, and players. Hands-Inside-The-Ball gives you skills and gameday confidence to hit an inside fastball. A fastball the most common pitch type that you, your kids or your players will face in any baseball league. 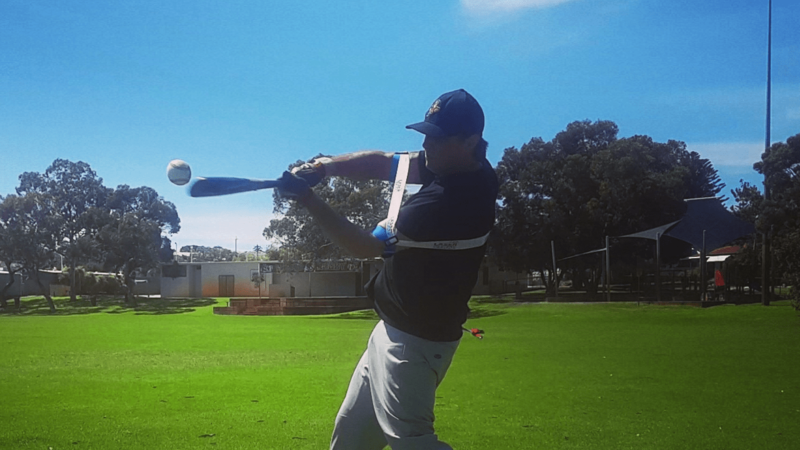 If you’re unable to make simple, yet critical swing adjustments, you’ll struggle to keep your spot in the batting lineup; unless you possess exceptional speed and defensive skills. Unlike the curve ball, slider, and change-up; a fastball is a simple pitch to prepare for during batting practice, and improve offensive statistics. 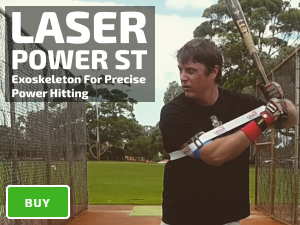 Laser Power Swing Trainer Baseball Swing Trainer For Youth And Pros. Why is confidence important? Doubt to hit any pitch, especially, an inside fastball, shows itself during your game day at-bats, in the form of rushing, lunging, and pulling off the baseball; controlled by the critical role of your subconscious mind. Tracking the baseball as it approaches closer to home plate. 95% of big league players don't know how to hit this pitch. Why? 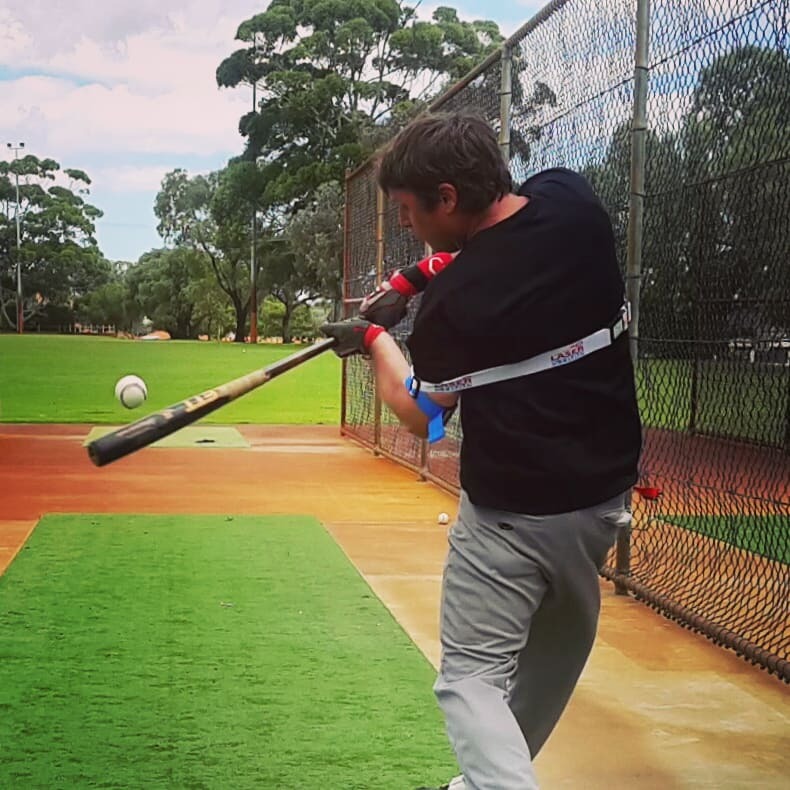 Determining your swing path prior to seeing the pitch trains a one-dimensional hitter. Scientific studies reveal it’s impossible to see the baseball at contact, however, they miss a critical element, the state of mind of the player. Conscious vision pales in comparison to your subconscious, a super-computer processing high-speed information sent from your eyes. For example, a car crash victim seeing the split-second event in slow motion, adrenalin triggers, “fight or flight;” and your subconscious mind gives you superhuman vision. On occasions, the same adrenaline pumps into your body during as you hit, commonly known as, “locked in” and “in the zone.” Don’t believe everything you read, even if it comes from seemingly reliable sources, such as sports science research; sometimes they miss a big piece of the puzzle, as organizations create baseball hitting methods based on misinformation. Practicing a compact, “hands-inside-the-ball” swing, improves game day batting power, and accuracy. 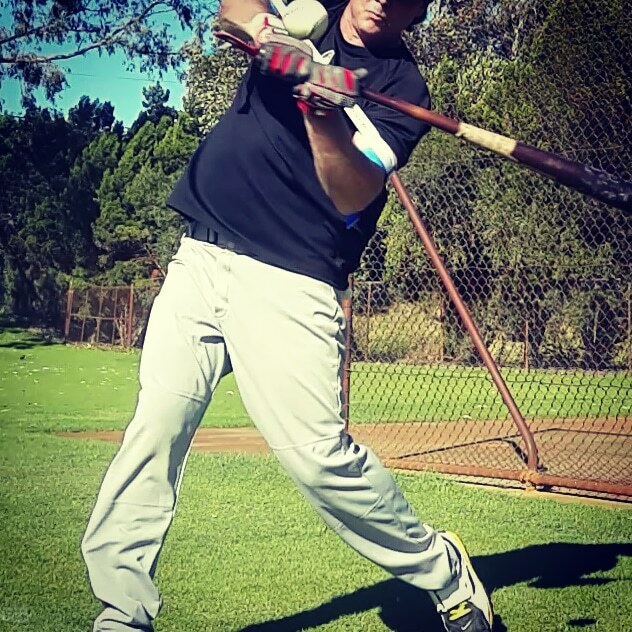 Seeing and tracking the baseball is a critical skill for power fastball hitting. Your eyes are the key to unlocking your subconscious mind and triggering your natural reflexes; giving you the best chance for success. If you can’t see a fastball, especially, approaching closer to home plate, you’ve little chance of success! 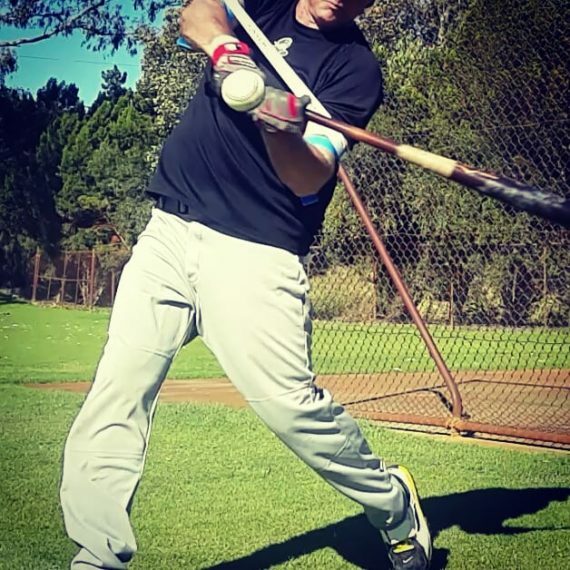 Your eyes are the trigger for your swing; subconsciously your eyes transfer critical hitting information your brain, location, movement, when to start your swing and whether you need to many a split second swing adjustment. 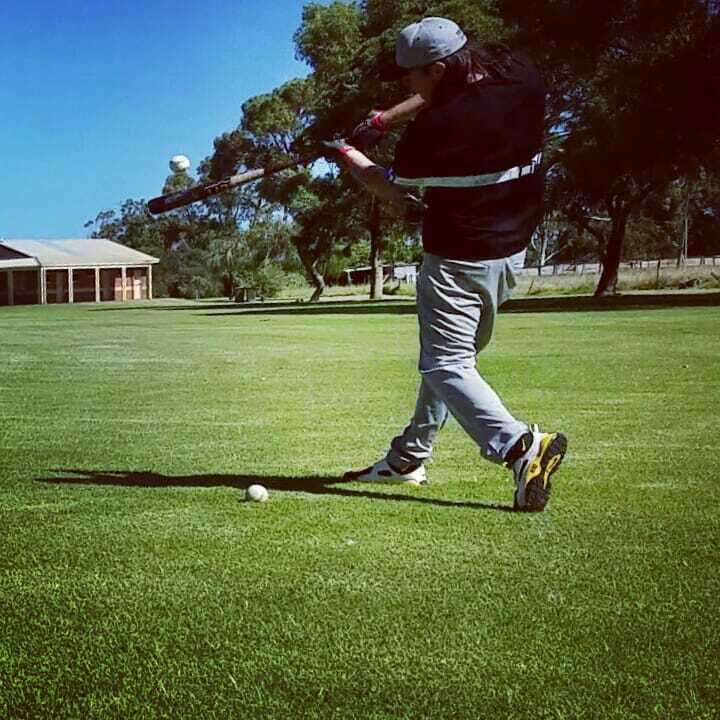 Practicing a long swing trains muscle memory for a long game day swing. 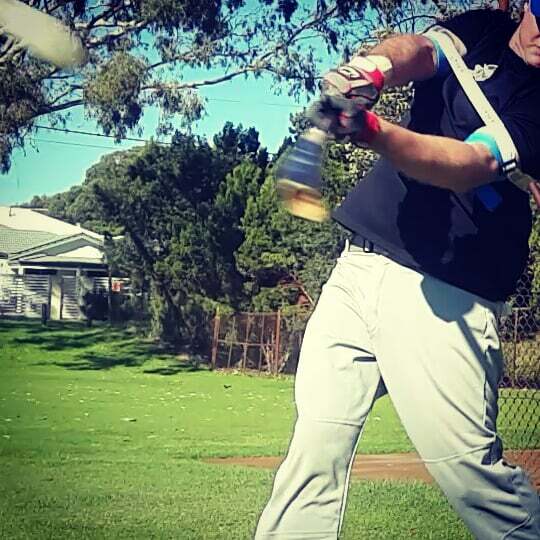 Alternatively, practicing a compact, “hands-inside-the-ball” swing, improves game day batting power, and accuracy. 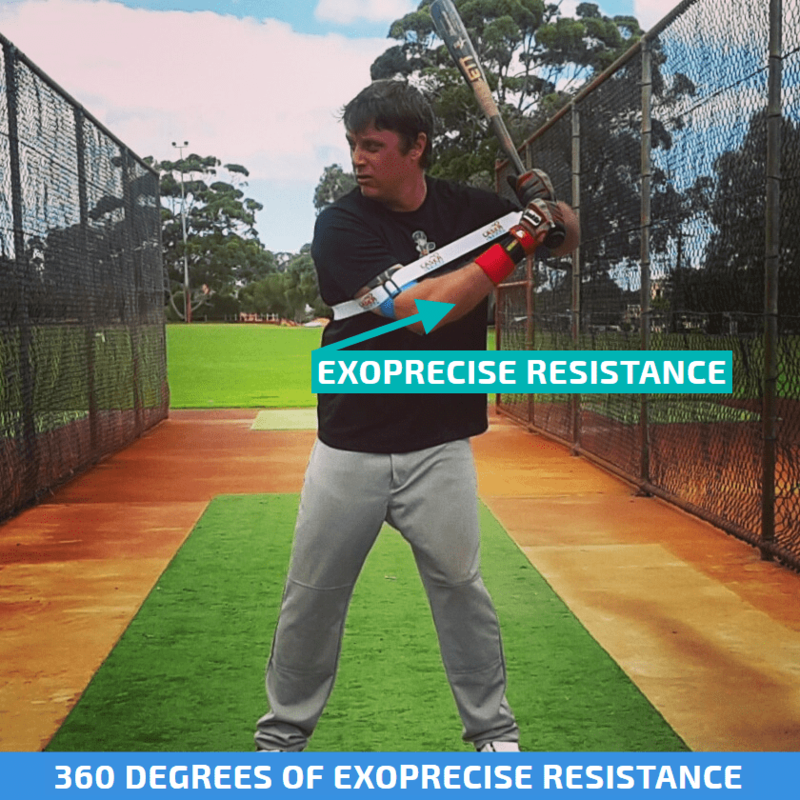 Our baseball swing trainer exposes and fixes your “lunge and reach” swing. If you lunge and reach during BP, you’ll do the same on gameday. The next time you take batting practice record the number of times you lunge and reach for the baseball; resulting in a ground ball, pop-up, foul ball, or swing and miss. Practicing to hit the “up-and-inside” and “low and outside” fastball is critical to building game day confidence. Your top hand plays a critical for hitting the up and inside fastball. 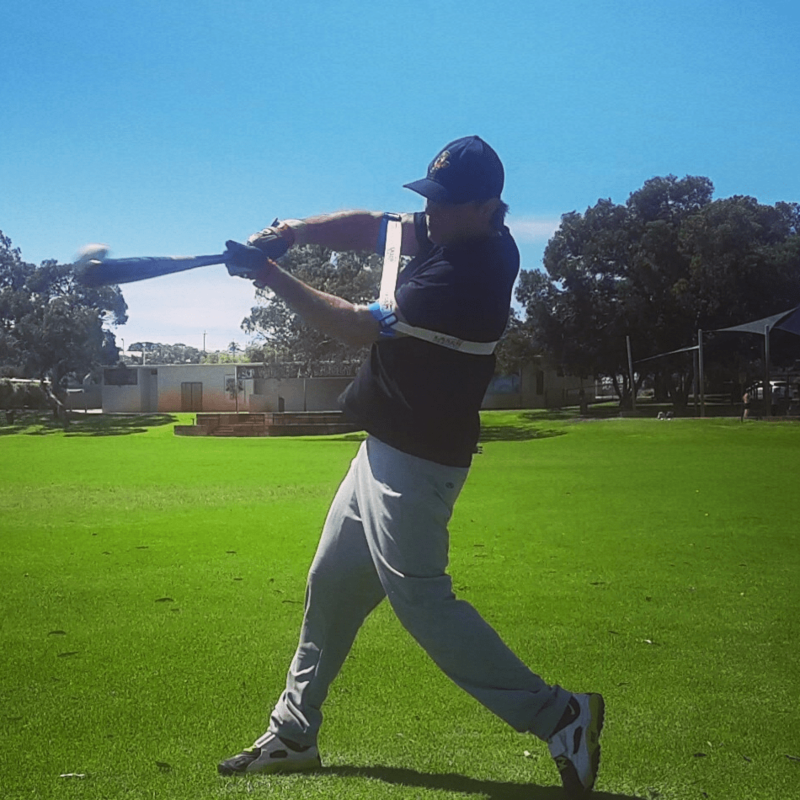 “Short-to-short” swing path combining a two-handed finish, allows you to hit this pitch. Unnaturally lifting your swing plane, with the “up and inside” fastball, causes your back shoulder to “knock your head off the ball;” during your follow through. Additionally, your back foot over-rotates, as you fall off-balance. Your bottom hand plays a critical role in hitting the low and outside fastball. Release your top hand for extremely low and outside fastballs, allowing your bottom hand to take over. Why? Simple, your bottom hand has more reach for hitting low and outside pitches. Release your top hand as you feel pressure on your back shoulder. Learn more about our fastball hitting program.